When Julian Assange was dragged out of his seven-year long asylum inside Ecuador's embassy by London police, it marked the beginning of a new chapter in his controversial career as a media disruptor and a man who is badly wanted by U.S. authorities. 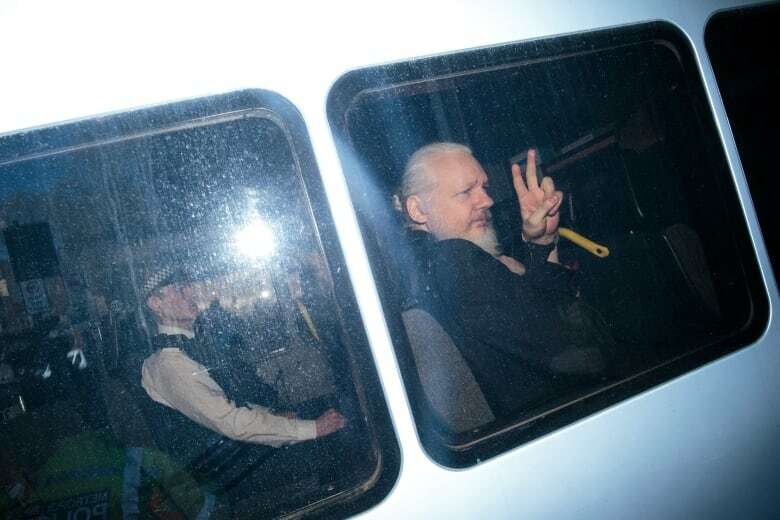 The U.S. Department of Justice wants to extradite Assange on conspiracy charges related to one of the largest ever leaks of government secrets. Assange founded Wikileaks in 2006 and promised to obtain and publish confidential documents for the whole world to see. In 2010, Wikileaks made headlines when it released footage of a U.S. helicopter gunship killing civilians in Iraq. That release led to the arrest of former U.S. Army intelligence analyst-turned-whistleblower Chelsea Manning who had given Wikileaks hundreds of thousands of confidential videos and diplomatic cables. 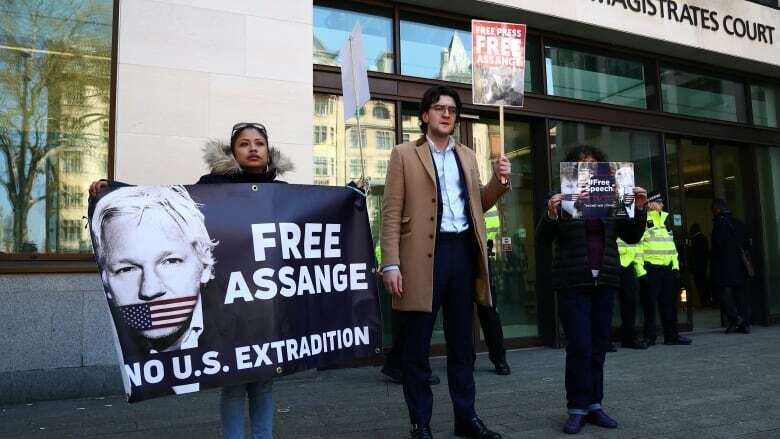 Assange's lawyer has promised to fight the U.S. extradition request saying it would set a dangerous precedent for journalists the world over — and James Goodale agrees. As a first amendment lawyer, Goodale defended the New York Times in the historic 1971 Pentagon Papers case and wrote about his experiences in Harper's Magazine. He tells Day 6 host Brent Bambury that he sees parallels between the two cases. 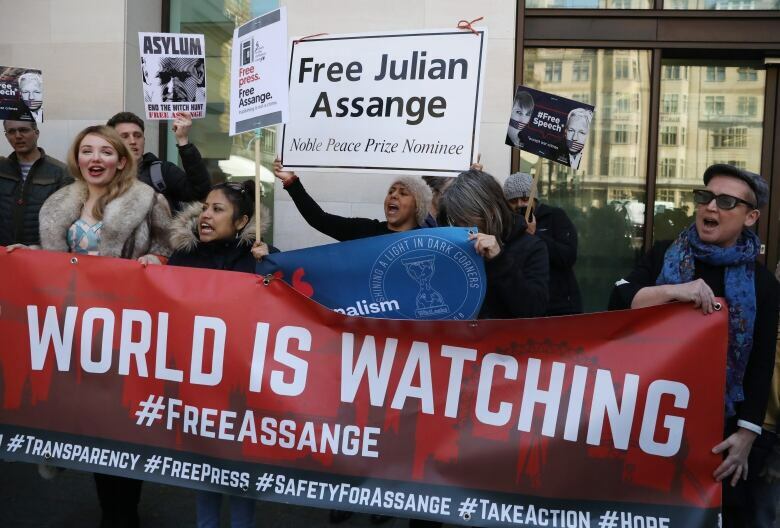 You have said that this effort to prosecute Julian Assange in the United States is more dangerous to freedom of the press than everything Donald Trump has ever tweeted about the media. Why? First of all I wanted to make a joke, and secondly I wanted to point out that the prosecution of a reporter — and let's assume for a moment that Assange is a reporter — under a theory of conspiracy would be the first time that's ever happened in this country. And, therefore, if it becomes a precedent it is much more dangerous than anything Donald Trump has done. I don't know if we can compare this to what happened in 1971 when you were in court defending the New York Times — that was when the Nixon administration tried to stop the Times from publishing classified Defense Department documents; the Pentagon Papers. What was the case that the Nixon White House tried to make against the New York Times and does it resemble the case that the Department of Justice is trying to make right now? It does resemble it. The Times was subject to being stopped from publication —.that's different — but that's what that was all about, because they had archives of the Vietnam War and they were classified. What is very comparable — in fact, identical — to this case is the subsequent action of the government to indict Neil Sheehan who is the reporter who broke the story. And we were very concerned, as I'm concerned today, that the precedent of indicting a reporter in United States law would be a very, very bad precedent. You are arguing that Julian Assange should be classified as a journalist. Are you prepared to say that Assange is as thorough or as rigorous as the New York Times? I really don't know. You know, if I were to guess I'd say not. But I don't think that's the point. The point is: does he functionally carry out the role of a reporter? Reporters are like the rest of us. Some of us really work hard, some don't and some are in the middle. But why do you think so many journalists are reluctant to defend him on this issue? You've written that journalists really don't agree with you when you talk about Julian Assange being protected by the First Amendment. Well, in the first place they don't like Julian Assange. And they find being compared to him is insulting as to what they do because they think he's a dumpster. In other words, he gets information from Chelsea Manning, as in this case, and then he just dumps it out without even trying to figure out whether it's good or bad and so forth and so on. In fact, that's not what he did in this case. You're talking about Chelsea Manning [and] the WikiLeaks cables? Yeah. And by the way Assange has been very active and could be indicted, in theory, for a lot of things. But the only thing he was indicted [for] earlier this week was for his release of the Chelsea Manning leaks. That's all we're talking about. The way he did it was: he made a deal with the New York Times, El País, Le Monde, [and] a German newspaper and magazine [Der Spiegel] to publish these leaks together. And each of the publications to which I just referred ... he separately edited them, so clearly a journalistic enterprise in my view. And subsequent to that, though, there have been other WikiLeaks releases that did not follow that model. So, that may explain, in part, the reason why journalists have described him as a dumper, as you said. Well, the other thing that has happened is that he's been heavily involved in the Russian investigation here in the United States which is coming to fruition because it's in a report written by Robert Mueller. And one expects that Mueller will say that he was in cahoots with the Russians with respect to information that had been leaked from the DNC — that's the [Democratic] National Committee. We don't know what that is going to look like. It's not in this case however. So you may be right, they don't like what he's done subsequently. But if the Mueller report was to find that Assange actually coordinated with a foreign government about the timing of the release of the Democratic Party e-mails, would you still argue that he's entitled to protection as a journalist under the First Amendment? First of all he is a journalist. And then the second question is: [is] he protected under the facts of that case? The trouble with your question — and my answer — is we don't know exactly what he did. But it's very interesting that he was not indicted for that. And, by the way, that's a leak of confidential but not classified material. This case we're talking about today is about the leak of classified material. And the Justice Department has been going bananas about the leaks of classified material ever since the Pentagon Papers almost 50 years ago. So, 50 years later — with the Assange case — if the U.S. Justice Department gets a conviction here, what are the consequences for journalism? I think it's very bad because it'll be the first time any journalist has been convicted for doing his job — if you will assume for a moment the jobs that journalists do are somewhat similar to Assange. Therefore, do it once successfully, the government can do it a second time successfully. We'll have a whole new relationship between the press and government with respect to leaks, where the government can come in anytime and indict reporters. I think it's pretty draconian and pretty awful. Do you think the fact that in this case the target is Assange, who many people believe — journalists among them — is a flawed character, gives the Department of Justice a better chance of conviction? Yes I do. Assange will have to convince the court that he is a journalist — and there may be doubters. This is a good case for them. This is the best case they could possibly have. This transcript has been edited for length and clarity. To hear the full interview with James Goodale, download our podcast or click 'Listen' at the top of this page.